Very insightful, as usual. I’ve often reflected on how certain political or economic structures that end up ensuring the greatest happiness of citizens do so by leveraging the flaws of the people for their good. Irrationality is certainly one such problem. I certainly resonate with the notion of bringing in a consultant to tell management what you already know. I quite remember hiring you as a consultant on a project that I knew couldn’t succeed…though no one was listening to me. I thought to myself “Udi will see how insane this is…he’ll talk to them and we’ll either change this project of kill it entirely.” The funny thing about that scenario is that I was a consultant! I just wasn’t the right type of consultant or one with enough credibility in the particular areas of interest. People are funny….definitely not rational. I will only partly agree with your following statement “Let me put it another way, explained from the perspective of management – we’re having problems, you work here, ergo you’re part of the problem. Also, you don’t make that much money (compared to management), so how smart could you be?”. I would think that the company who has managers who think in such a way will do bad business regardless of the current issues they might have. IMHO the decision to bring in a consultant could be because management does not have a good view on the internal workings of the company and does not want to decide solely on the opinions a single ‘cog’ (the worker) in the machine. It does not mean that the company management thinks less of you, it just means that the consequences of failure is too great to be based solely on a, possibly subjective (because the worker does work there), opinion of a worker. Like much else in life running a company can be a gamble and if hiring consultants would reduce the risks of making decisions then a good management should hire them. IMHO Conway’s law is a good reminder that IT people often should be less arrogant (or naive). This does raise two really interesting (in my opinion) philosophical questions: If irrationally can be predictable and guided, is it really irrational? 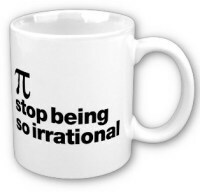 And: Why is irrationally considered a bad thing? This was an excellent post, Udi, and I for one really appreciate it, and will check out the recommended reading. I never fail to feel, after reading one of your posts, that I’m becoming not just a better consultant, but a better person. Kyle – that is probably the nicest comment I’ve received on this blog in the past 7 years. Thank you. Very insightful post. I’ve been in a situation where the management wasn’t the issue, it was other developers on the team that weren’t willing to tread out beyond their comfort zone. However, a credible messenger turned things around. The messenger effectively delegated the verification process away from developers and management to the credibility of the consultant. @Kyle: > is it really irrational? The philosophical response would be that something being predictable does not mean it is rational. The referenced book Predictable Irrational is a great read. Client: Consultant, please tell me the time. Consultant: (pulling the Client’s left hand into view, revealing Rolex Daytona) 10:00 AM. Client: Thank you Consultant!! Not knowing the time of day was so inefficient.